The birth of a new baby deserves some big-time recognition—and some big-time record keeping! So make a big deal of the occasion with our fashionable, frameable and, best of all, free printables. Just warm up the printer, practice your penmanship, and get ready to document, decorate and display the adorable first days of your child’s life. Let’s face it, the birth certificates issued by the state aren’t exactly the prettiest. 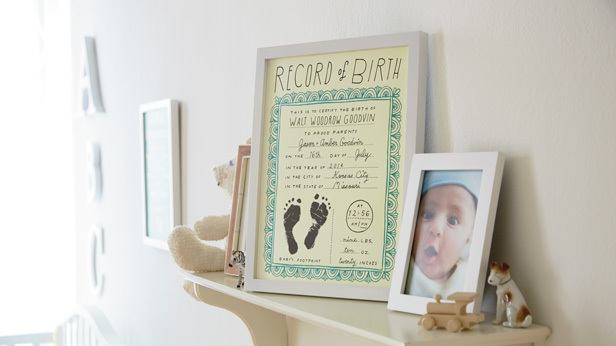 So we’ve created a printable birth record you can use to display your baby’s birth stats in frame-worthy glory. Just click on the version you want (we’ve provided five color options), print it out, and fill it in with your baby’s information—and those little baby footprints! Don’t forget the rest of the family! 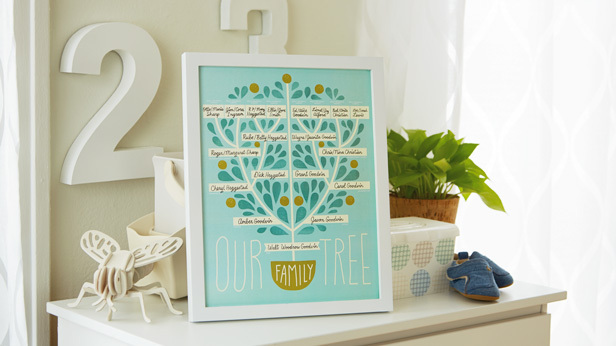 Show off your little acorn’s big roots with this printable family tree. Select the one you want for your nursery or baby book from the six color options provided, print it out, and add your family’s names. 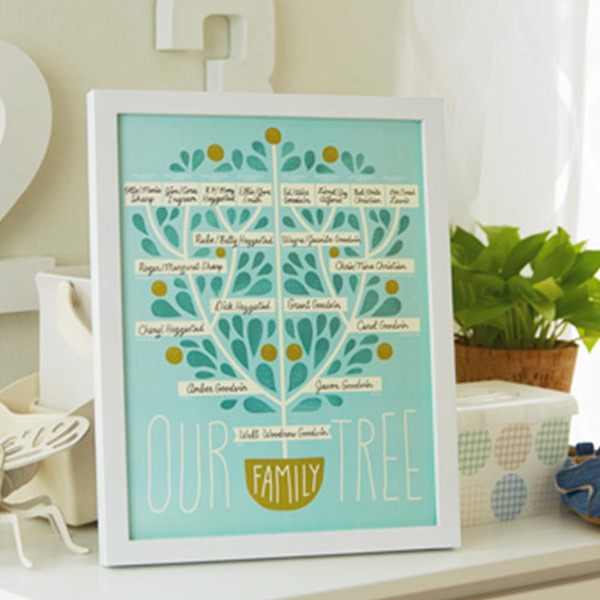 It’s a sweet reminder of the comfort and shelter your family’s branches will provide through the years. Amber Goodvin is a lettering artist at Hallmark where she loves getting to make words and pictures all day. She lives with two pugs, a husband and son. She is addicted to sparkling water, coffee and shiny new pens.